This is a concise, highly accessible introduction to medical virology, incorporating essential basic principles as well as a systematic review of viruses and viral diseases. It pays particular attention to developments in anti-viral therapy that are becoming increasingly effective in modern medicine. 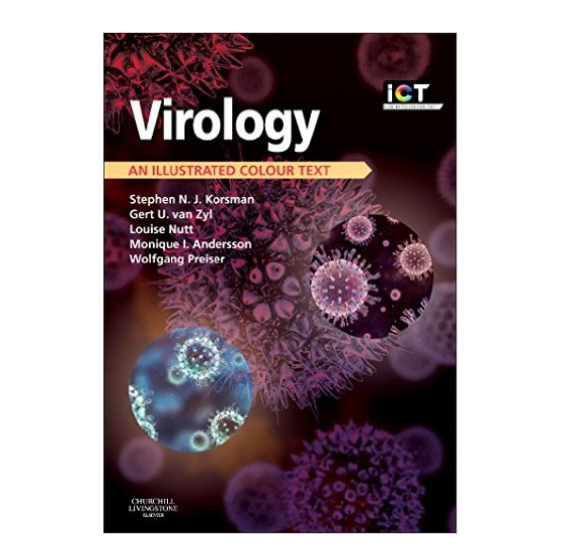 It is an ideal textbook for the information-overloaded student and an invaluable everyday companion for the busy professional who needs a good understanding of the current state of medical virology. In keeping with the highly successful format of other Illustrated Colour Texts, it presents the subject as a series of succinct 2 page ‘learning units’, using a superb collection of clear illustrations and clinical photographs, concise yet comprehensive text and key point boxes to aid quick access to information and examination preparation. So whether you are a medical student, junior doctor, medical scientist, trainee in infectious diseases or student on another allied medical course, this book is here to make your life easier! It will also provide a very solid foundation for any who plan to delve deeper into this fascinating field.